An Analog Telephone Adapter (ATA), also known as the Analog Telephony Adapter, is an electronic device used to enable one or more analog telephones or facsimile machines for Voice over Internet Protocol (VoIP) calls and faxes. An Analog Telephone Adapter basically creates a physical connection by use of telephone and Internet cables between a conventional phone or fax and a computer or an Ethernet gateway. The ATA usually comes with a digital phone and Internet plan provider but it can also be bought independently. The Analog Telephone Adapter makes voice calls and faxing over the Internet possible without the user needing to upgrade existing traditional telephony systems. Making voice calls and sending faxes over the Internet are significantly cheaper than doing so over traditional phone lines. There is no loss of functionality as call forwarding, call conferencing, and other features may still be included in VoIP subscription plans. The Analog Telephone Adapter allows the user to immediately take advantage of the lesser costs involved in making calls over the internet. It also eliminates the need to get rid of existing phones and replace them with IP specialized phones. 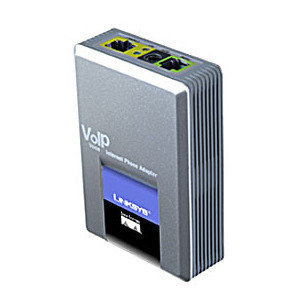 Moreover, ATAs are also generally cheaper than specialized digital VoIP phones which are capable of direct USB port or Ethernet gateway connectivity. The first type of Analog Telephone Adapters is called FXS to USB Adapters. FXS stands for Foreign Exchange Station. 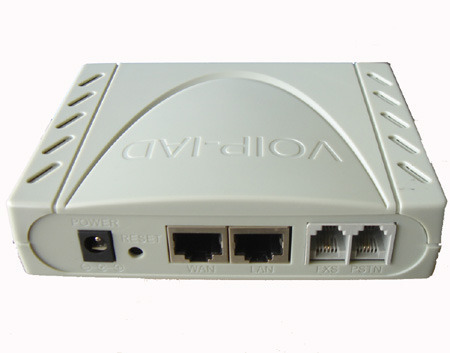 Such an ATA is a simple device that has one or more RJ-11 jacks or FXS telephone ports. Each phone jack can accommodate a phone or a fax machine. This ATA has an output cable which is in turn plugged into the personal computer’s USB port. The computer becomes its means of connecting to the internet. In this case, the ATA merely makes voice calls over the Internet more convenient than using computer speakers and microphone or headsets; it does not directly interact with the VoIP server. The actual analog-to-digital conversion is done by the computer software, generally known as the softphone, which needs to be installed in the computer to which the ATA is connected. 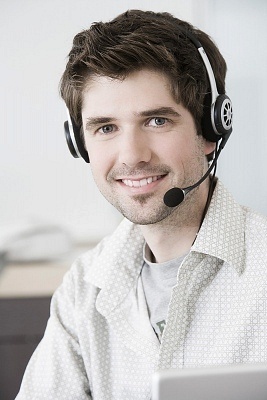 This software is supplied by VoIP service providers. This software converts voice data to digital data packets transmittable over the internet. The second type of Analog Telephone Adapters directly performs analog-to-digital voice conversion. As such, Analog Telephone Adapters of this type do not need a softphone for VoIP. It communicates directly with the VoIP server using protocols such as SIP (the most common protocol for ATAs), H.323, IAX or MGCP. Voice signals are encoded and decoded using GSM, A-law, u-law and other such voice codecs. Physically, an FXS to Ethernet Gateway ATA has one or more standard telephone jacks to which conventional telephony equipment can be plugged in. Analog voice data is converted to digital data and transported through an RJ-45 cable which is connected to the Local Area Network through its direct connection to the Ethernet hub or switch. Just looking for wireless home phone service and device that will work with my current First Alert security system…. Any suggestions or information would be helpful. AT&T was of no assistance. donde puedo conseguir el adaptador y cual es su valor? You can get some on Amazon . 139 queries in 0.458 seconds.